Let's Dive into National Reading Month! 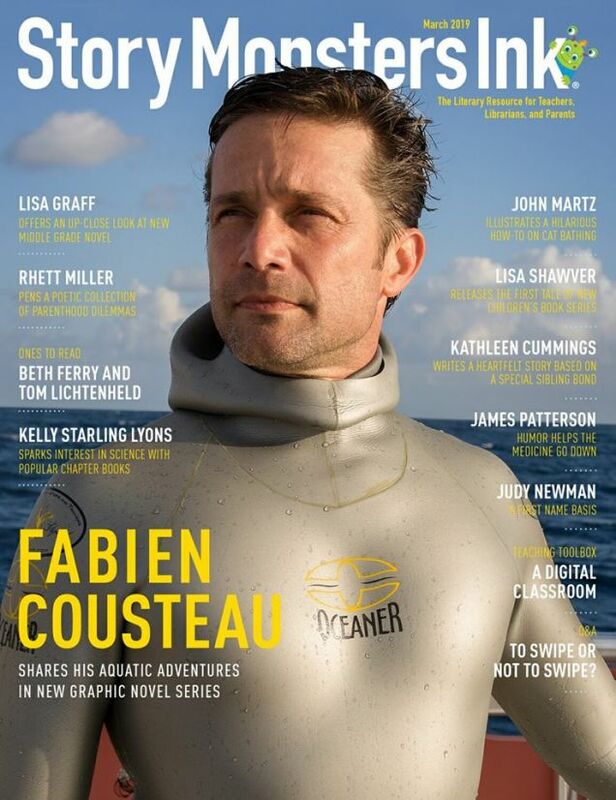 This month's issue of Story Monsters Ink includes interviews with Fabien Cousteau, Kelly Starling Lyons, Rhett Miller, Beth Ferry and Tom Lichtenheld, Lisa Graff, John Martz, Lisa Shawver, and more! CHANDLER, Ariz. - Feb. 18, 2019 - PRLog -- Lett's Dive into National Reading Month! This month's issue of Story Monsters Ink includes interviews with Fabien Cousteau, Kelly Starling Lyons, Rhett Miller, Beth Ferry and Tom Lichtenheld, Lisa Graff, John Martz, Lisa Shawver, Kathleen Cummings, and a special Q&A with just one question: To Swipe or Not to Swipe? Also inside, reading specialist Larissa Juliano discusses a digital classroom, James Patterson has a funny way to get kids reading, and Judy Newman talks about the roles strong women played in her literary life. Be sure to check out our newest book reviews, spring reading list, and Nick's review of The Lego Movie 2: The Second Part. It's all inside! The Literary Resource for Teachers, Librarians, and Parents. The award-winning Story Monsters Ink® magazine is a digital monthly publication that features profiles on renowned and newly published authors, book reviews, movie reviews, columns by the world's bestselling author James Patterson and Scholastic Book Clubs president Judy Newman, and more! Subscribe to a 1-year (12 issues) digital subscription today. The August issue of Story Monsters Ink is now available!